pls follow me on twitter! hi! 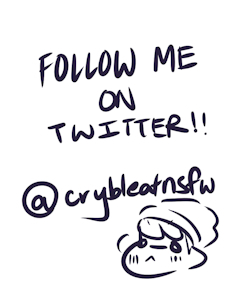 I'm kier and I'm a loser neet boi who draws cute lewds for a living. i hope to one day be able to financially support myself so if you like my work please consider supporting! just about anything just ask !! Awww, thankie-thankie for watching Kier >w< ! I'll definitely watch back for such cute and beautiful art ~~!